A geometric design set the framework of the Summer drop earrings in an Art Deco take of the classic chandelier. 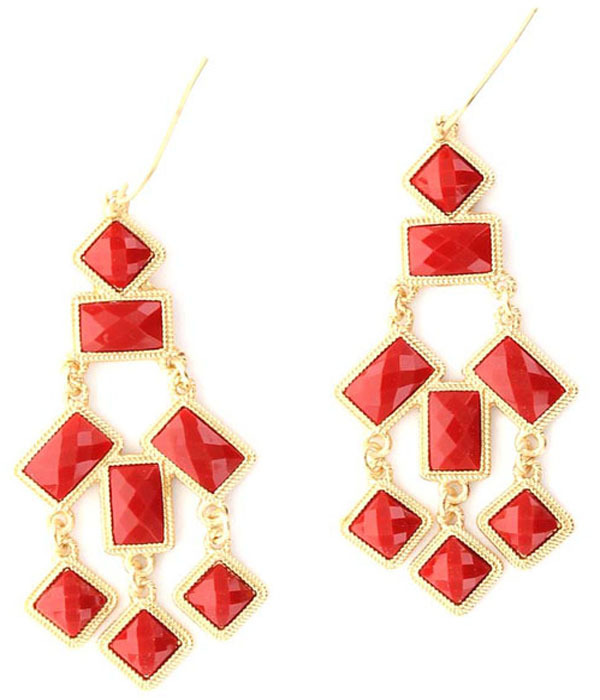 Glowing in red ember resin stones; faceted, angular, and set in cast gold on french hooks. Accompany them with a top-knot and drown yourself in gold layering bangles Feel confident when you buy jewellery online at Oz Bling. Quality is guaranteed with our hassle free exchange policy.